I had the pleasure of working with Matthew Ellis (Matt Teacher) at our branch, and now I will share my interview with him. Matt is an English teacher from Massachusetts and has been teaching for around seven years. His major was English with a concentration in Creative Writing and a minor in Philosophy (yikes!) He has a passion for gaming, culture, and diplomacy. 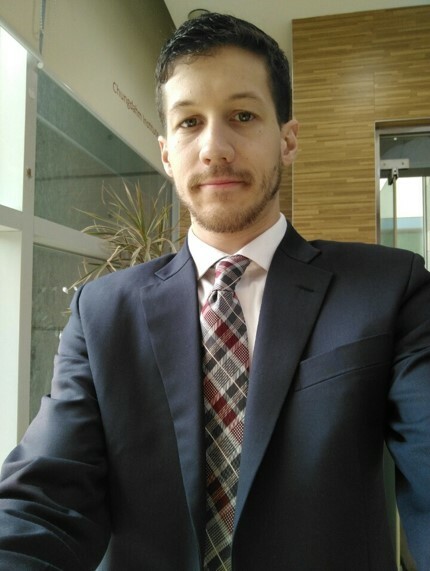 Matt’s family is located back in the States, but he plans to continue here in Seoul in order to get his Masters in Linguistics. Matt says it’s nice to meet you! How did you decide to become an English teacher? In University I initially was a Psychology and Art major. Looking back, I realize that my switch to English was the result of my need to better understand why people think the way they do and how it serves to express those thoughts to the world. At that time, I didn't know I'd become a teacher. My summers were filled with swim and lifeguard training for both young and old students. After graduating, I taught as a substitute at my old high school and found the core skills I learned at college to be helpful when communicating difficult curriculum to students. As I taught and coached I found I really enjoyed teaching, so I decided to become certified in Massachusetts as an English Language Arts teacher. Why did you choose Chungdahm? While I taught in various short- and long-term sub positions at my old school, I increasingly felt I was not pushing myself as a professional. When I was told to become dual-certified in English and History in order to take a long-term substitute position as preparation for a full contract the next year, I decided to expand my outlooks. Chungdahm was one of the first offers listed on a general teaching position listing and I applied in a sort of nonchalant manner, the kind where you think, "If I get this job, that'd be cool." I already had a love for South Korean gaming culture and my grandfather had been a sergeant in the Korean war, so the position seemed apt. Can you share your teaching philosophy? I can't. It's a secret. But honestly, that's partly true. In many senses, teaching is subjective. As Parker Palmer, author of The Courage to Teach, says “As I teach, I project the condition of my soul onto my students, my subject, and our way of being together.” I don't completely agree with him when he says, "my subject". The subject is not mine, but something there to be observed, poked, and prodded. Effective teaching gets the student curious enough to self-regulate their own learning and prod away. Teaching is vast sea of subjectivity dotted by islands of navigable objectivity. What do you enjoy the most about teaching at Chungdahm? The curriculum. It is fascinatingly developed. It has a depth on scale with American public school English courses, and reaches right into upper-level high school course material and sometimes into undergraduate subjects. The Segment Guides are written essentially as a lesson plan for a teacher with no experience in education or the subject, and the lessons have excellent tips on how to implement the material. The material is sometimes off level, but there is room given to adjust according to the abilities of the teacher and students. What do you find the most challenging about teaching? For me, staying motivated when others, be it colleagues, administration, or students, don't share your vision and when you are unable to express it clearly is a very difficult problem when teaching. There is also a paradoxical nature to teaching. You must be strict and warm, organized and chaotic, commanding in the classroom yet humble and always learning. The students are another challenge in that they can see you - the real, mistake laden, bumbling, disorganized you. Administration has a keen eye as well, let's not forget, haha. 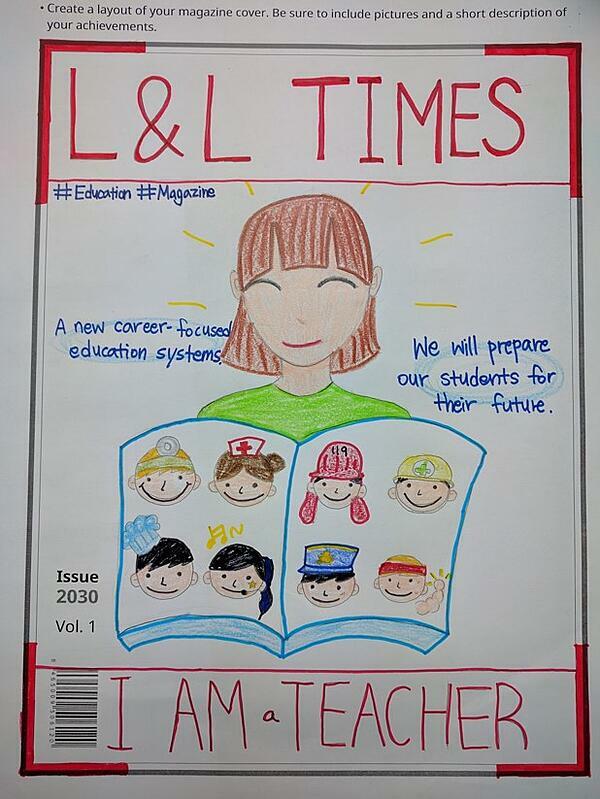 What do you find the most rewarding about teaching students in Korea? They teach me about language and culture. I get to bounce ideas I have about their country, my country, and the world off of them, and they respond, correct, or agree in unabashed ways. Their mindset is sometimes leagues away from that of the students I taught in the U.S., but sometimes so exactly similar it's surprising. Above all, they are so hard working and dedicated. Even the students who "lack engagement," attend academy for an average of six hours a week on top of regular schooling, sometimes among other responsibilities. They are on average very responsible students. Have you discovered or learnt something about yourself through your teaching experiences? Many many things I have learned: some I forget, some I cannot. A few I forget constantly: expectations are risen to, a bad name given sticks, the power of a kind word, and a student's basic need to be noticed and feel important. Some things of which I am constantly reminded: the Illusion of Competence ("knowing" the material, but not really), the Curse of Knowledge (really knowing, but not knowing how to teach it), the power of critical questions rather than "control" in the classroom, and on a related note - that control lies in discipline, not force. What is the most important thing you have taught students besides English? The most important thing above all else is the critical lens through which to see the world. Teaching the students how to ask unashamed, probing questions about a subject and how to find an accurate answer is paramount. Also, knowing when to be OK with "I don't know." Some cultural exchange was also a very important part of teaching for me. Have the students taught you something significant? As mentioned, the cultural exchange. Building and breaking misconceptions and stereotypes. They have also shown me how truly reflective people can be of your inner nature and how your integrity and personality can have a greater effect in the classroom than the material or information dispensed. They also have the wackiest ideas, which when teased apart and flesh out are actually quite astonishing. They have taught me a good idea comes not through pressing, but through open spaces for thought, attention to detail, and persistent curiosity. How have you changed and improved as a teacher since you began your teaching career? It's hard to quantify, but in a nutshell: the answers I'm giving you now are surprising me. I never would have thought seven years ago when I started teaching that I'd be giving answers with this much depth and care to an interview about teaching. My methods have become less abrasive and more compassionate. They have a strictness softened by finess and neutrality of tone. I am much more aware now of the necessity of repetition of the basics, application of basics into progressively more difficult tasks, and the importance of a creative space between those repetitions to allow for true growth. What has surprised you the most about teaching students at Chungdahm? They get it. They're real. That's my best answer, in short. They pick up what I put down and usually give it back with a little something attached that I didn't know before. Concepts I learned in high school and college are being absorbed by middle-schoolers. It's amazing really: their ability to digest complex information in such a short time. What do you enjoy the most about living and working in Korea? Can you describe your greatest strengths as a teacher? I like to think I can be fun and charismatic, but also have a good command of the material. I've spent a lot of time developing ways to digest difficult information and make it accessible. I also think diligence, propriety, and respect are a big part of me. How do you deal with your weaknesses as a teacher? I fail a lot and watch myself fail and feel miserable and dwell on it and thoroughly hate it. Then I struggle out of the mud through questioning, self-reflection, searching for answers, and help from my community. Then, when I'm sufficiently scrubbed clean of the mistake(s) I make a deal with myself to be aware of those failures through disciplined action and the watchful, corrective eye of my colleagues. Can you share any really humorous and funny moments while teaching at Chungdahm? The language barrier leaves room for a lot of funny and often very egregious language errors. Those are always hard not to laugh at, and even harder to explain when you do. 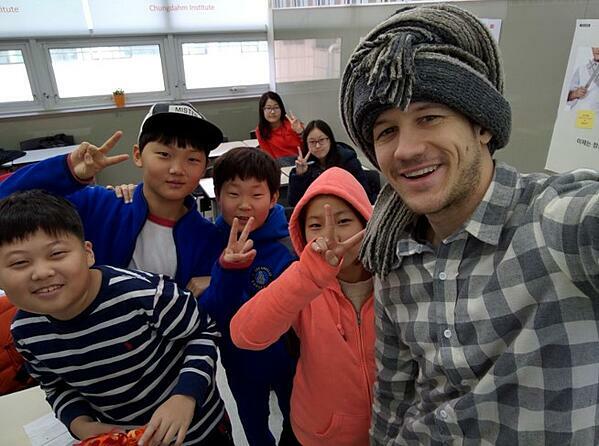 They come from the students English and I've made my fair share of Korean mistakes, too. Sometimes you're not sure if it's a misunderstanding or a joke. One time, a student said she saw someone at the park with a dog who looked like me. I naturally responded self-deprecatingly to give her a laugh: "Oh, was he tall and ugly?" Without missing a beat she says, "No, he wasn't tall at all." What advice would you give to a new Chungdahm teacher? Ask questions, questions, questions. Even when you know, ask another person how they would do it. Also, assume the best of your students and workers - your administration too. As the saying goes, give a dog a bad name and you might was well hang him. Give him a good name and see what he can do! Beyond that, just absorb others' light and shine. "Stay in the pocket," as a musician friend used to tell me. Feel your feelings, good and bad, but do not become them. Most of all, enjoy your time here! It's a really wonderful country with something for everyone. Matt goes in depth during this interview and he delves into his years of teaching experience to flesh out really candid and unabashed answers that reveal wisdom and truth. I know I have learned a lot from Matt by observing him as a teacher and also from this interview. I hope current and future Chungdahm teachers enjoy this interview and can take away some valuable lessons and insights into the world of teaching. Thank you Matt!